Obituary for Teresa Mae (Major) Banks | Henry Funeral Home, P.A. Teresa Mae Banks, fondly known as Reese, was born on March 24, 1948 in Cambridge, Maryland. She was the daughter of the late Laurice Nettie Johnson and the late Rev. Nelson Stanley. Reese was educated in the Dorchester County Public School System and graduated from Maces Lane High School, Class of 1966. She was involved in the Pep Club, Junior Red Cross and The Glee Club. After graduation she completed the Nursing Assistant Program through the state hospital in Cambridge. After completing the Nursing Assistant course, she was employed at the state hospital for several years. She left the state hospital and accepted employment at Bumble Bee Tuna until its closing. She was also employed at Dorchester General Hospital, Glasgow Nursing Home, Airpax and finally retired from Cambridge Police Department as a Traffic Enforcement Officer. In 1968, she married the late Joseph Linwood Chester. In 1997, She married the late Richard Gardoner Banks. They were married for 21 years and together for a total of 38 years. Reese was a life member of the National Church of God under the leadership of Rev. Jeremiah Cox. She held the position of usher and president of the youth ushers. Reese loved people and enjoyed going to the local nursing homes in Cambridge to visit the residents. She was known for her vibrant personality. She loved dancing and loved to make people laugh. Reese had an energetic spirit and her presence lighten up a room. She especially loved to talk. She could talk on the phone for hours without missing a beat. She loved children, especially her grandchildren. 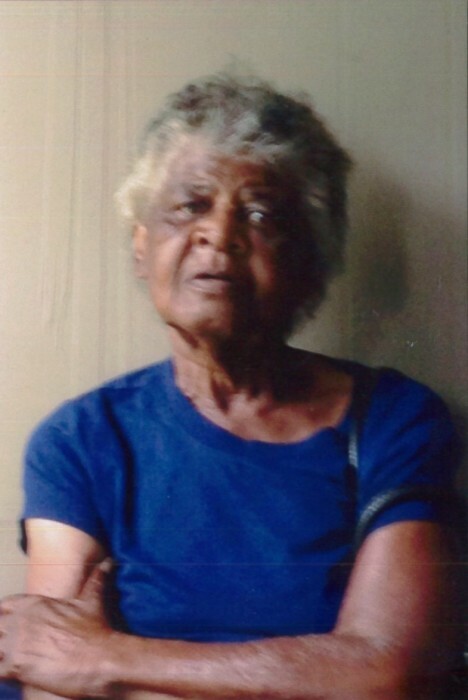 Many of the neighborhood children affectionately called her “Granny or Grandmom.” Reese was a compassionate person. She cared for her mother, aunt and uncle until their passing. Reese loved going to Chicken Man, Kool’s Carry out and Walmart. She visited these places daily and the employee’s knew her by name. In addition to her parents she was preceded in death by her grandparents, George and Annie Major, Harrison and Stanley; brothers: Robert Johnson and Guy Major; uncles: Rudal Major and Thomas Major; aunt, Ruth Clash; mother in-law, Gladys Banks, father in-law, Joseph Sudler, sister in-law, Marva Banks Hughes, Anne Sudler Thomas, brothers in-law, Robert and Donald Bolden and Wayne Sudler. Memories will be cherished by her children: Donald Major and Tavonya Chester; step children: Alisa Banks, Joseph Chester, JoAnn McCready, Dona Molock, Tiene Holliday and Joseph Johnson; grandchildren: Rashira Copeland, Dyneka Major, Samira and Myles Chester, Latesh and Ryan Walker; a great niece, who was like a granddaughter, Mya Woods; great granddaughter, Kamaria Cephas; sisters: Colethia Lee (Boyd), Ruth Molock (Leo), Carolyn Spicer, Zina Chance (Edward), Diane Baltimore (Carl); sister in-law, Josephine Sudler; brother, James “Jimmy” Stanley (Brenda); brother in-law, William Sudler; aunts: Clair Brisco, Rachel Miller, Mardela Opher and Harold Stanley (Elsie); nieces: Sheila Jones, Angela Hill, Lawanda Major, Christy Sudler, Monica Stanley, Sarah Bolden, Linda Fisher, Patricia Bolden; nephew: Colby Major, Robert Johnson, Jr., Glen Wilson, Daniel Hughes Jr., William Johnson, Demonte Johnson, Robert Bolden, Jr., and CJ Sudler; goddaughter, Chrystal Camper; godson, Baron Camper and a host of great nieces, nephews, cousins and special friends.